Hello Readers, in this article we will learn how to develop an active readership for our blogs. There are many ways of getting an active readership and the most important is killer content. If you value your readers then there is a great chance that you will increase the readership of your blog. Later in this article we will explore some really useful tips that will help you to improve your blog readership. Hello Readers, Today in this post we will talk about the importance of increasing pageviews of your blog. Pageviews is an important term used in blogging and it also helps you to stand better in the alexa ranks. Pageviews are as important as the unique visitors. If you are working with CPM based ads network; you will surely want to increase your pageviews which will help you getting good eCPM rate. Search engines like Google gives a great importance to the "time on site". If your content is good, your online readers will spend more time on your site and search engines like the sites with a high usage time. 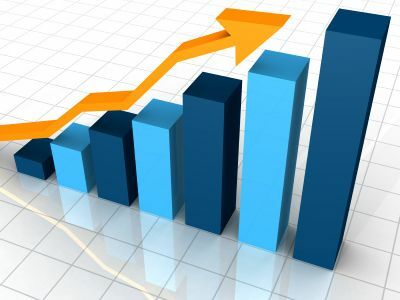 Later in this post we will learn how to increase your blog pageviews and how it will help you to improve your blogging experience and SEO optimization. Hello Readers, This post will tell you why and how to make the entire labels link in your blogger blog nofollow. You must be familiar with the term nofollow. I have posted about it in my earlier posts. 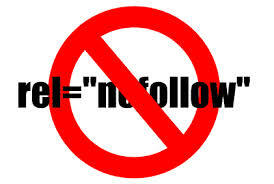 nofollow and dofollow links plays very important role in blogging. But in this post we will be talking about applying nofollow attribute to the labels in your blog. You must have heard about the Google Panda. Google Panda is a strict algorithm by Google which can make your blogging life worse if your blog does not qualify the quality norms of this Algorithm. Hello Readers, in this post you will learn how to connect your twitter account with you feedburner account to enable auto-tweets. Social Networks like Facebook, Twitter and Google+ are playing very important role in blogging nowadays. They don't only give your content exposure but gift you good amount of traffic. Feedburner is the most famous feeds management service providers and is powered by Google. Feedburner gives an XML format summary of your latest posts but it also enables you to connect your twitter account to it so that every time you post a new article on your Blog it will tweet it on twitter on behalf of you. 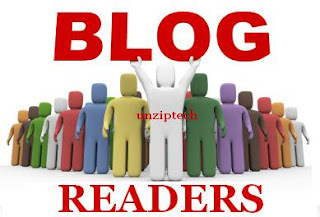 Hello Friends, Unziptech has shared many useful Blogging tips in the previous articles. This Article features a tutorial to add a beautiful email subscription widget in Blogger Blog powered by Feedburner which is a Google's product. Feedburner is the leading web feed management service providers. Feedburner provides the custom RSS feeds and enable Bloggers and podcasters to manage their Blog feeds. We all know how important RSS feeds for our Blogs. RSS feeds or Rich Site Summary is a standard XML format to showcase the latest entries in your Blogs. Hello Readers, Every Blogger wants to drive more and more traffic to their blogs. A good traffic shows the popularity of the Blog and helps you improve your Global rankings as well. I have written a few posts on Blogging and SEO tips that help in increasing Blog traffic. This post focuses on another good way of getting a lot of referral traffic using Stumbleupon. You must have heard about it. It is a social bookmarking website, but it is more than just a social bookmarking website. Stumbleupon allows you to like or dislike WebPages and share them among your networks and followers on it. You can recommend pages that you like, comment about them, review them as well. Hi friends, In this post we will learn how to insert facebook like button in every Google Blogger Blog posts at the beigning and end. Social networks have been playing an important role in Blogging for driving traffic. 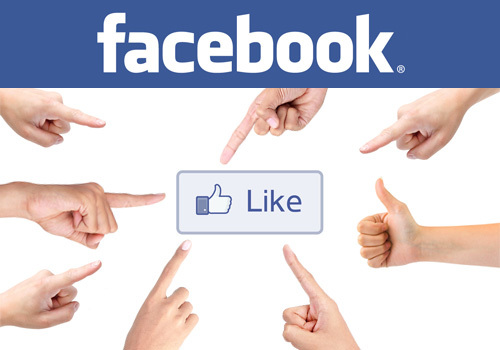 Facebook is one the most liked social network among all the Internet users. Facebook enables you to create a Fan page and share your content on it. When a person like your facebook fan page, he/she subscribe to your content on facebook. He / She will be getting updates from your fan page about your Blog and they will visit you. Indeed it is an important source of referral traffic. We all know the importance of traffic for Rankings. Hello friends, I have posted about the Alexa rankings, Blogging, Seo tips and some high PR blog submission directories in my previous articles. Now I hope you know the importance of blogs and feeds submission to such directories. Blog submission directories allow you to add your blog and your RSS feed so that they could showcase your new posts in their directories and all those who are in such directories get notified. You can earn a lot of do-follow back links and referral traffic from them as well. Blog submission directories earn you recognition among other bloggers. If your blog is new and you just started your link building campaign I suggest you to go through my previous posts they will help you a lot. Hello Readers, Today I will share with you easy tips for getting a good alexa traffic rank. There is a great significance of Alexa traffic rank. It shows how popular you website or blog is. It takes in account the traffic of your blog/website to calculate your traffic rank. We all know how important these statistics are for our blogs and websites. The motive of this article is to make you all aware of Alexa ranks and how you can improve your traffic rank. Hello Readers, I am sharing a few blogging and seo tips with you in this post that will help you getting a lot of traffic. 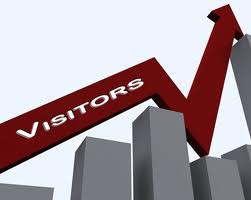 Traffic is the count of people visiting your blog or website. On this basis Alexa rank your website. This is also a benchmark that signifies the popularity of your website or blog. A blog with good amount of traffic will help you getting good revenues from your blog’s content as well. Almost every blogger writes to generate income from their blogs and this is possible only if plenty of visitors come to your blog daily. Your blog will be easily approved for ads program like Adsense if you have a good amount of traffic to your blog.